IRVING, Texas, Feb. 10, 2017 /PRNewswire/ -- Nautilus Hyosung America (Hyosung), the largest and fastest growing ATM provider in the United States, is proud to announce MoniMobile has successfully reached over 700 accounts nationwide with more than 1,200 Terminals. "We're starting to see MoniMobile take off and truly change the way ATM operators and merchants interact with and manage their ATMs," said Jason Kuhn, vice president of retail product marketing and planning at Hyosung. "We're adding on average around 20 new accounts and 50 new terminals per week and we don't see that stopping anytime soon. Hyosung launched the patent-pending mobile applications in June of 2016. 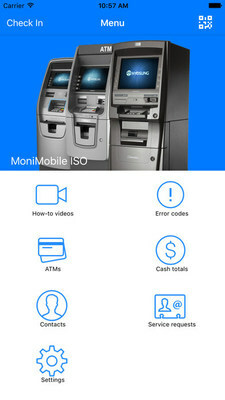 MoniMobile allows ATM operators to cut costs by giving them direct, real-time control of ATM management. Now merchants and ATM operators can manage their ATMs and maintain accurate ATM fleet data with ease and efficiency. "MoniMobile gives me all the info I need in the palm of my hand. TID number, model type, software version, serial number, error codes, videos and more," said Teresa Wilson of ATMs by Wilson. "It's just an abundance of information and a very handy app." MoniMobile is now available for free download on Android and iOS. MoniMobile ISO is now available for $9.99 on Android and iOS. Nautilus Hyosung America is showcasing a broad range of products and technology at Booth #502 during ATMIA 2017.